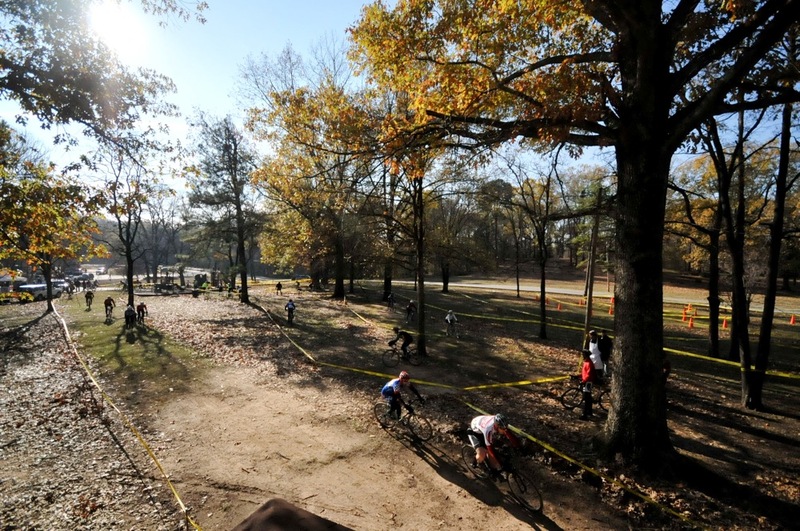 It's been a breakthrough year for cyclocross in the Mid-South. Let's make 2011 even better! Remember that it's only a couple more weeks until the New Year Barrier CX Race. Trevor has put together another great course, this time at Boyle Park in the heart of Little Rock. 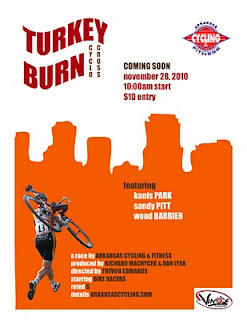 If you weren't at the Turkey Burn, this is your chance to enjoy some tough, fun, grass-roots cross racing. There are two Euro cross races this weekend, one on Saturday and one on Sunday. They each start at 8am Central, and you can find live streams at cyclingfans.com. As I've said before, it's a great way to start the day and get some extra motivation for your weekend rides. The last two laps of Superprestige Diegem from earlier today. Great, great stuff! A day or two before Todd Wells won the 2010 U.S. National Championships, he took time out of his busy schedule to give a cyclocross tutorial for his main sponsor. It's actually very good! Cyclocross 101 with Todd Wells from Jim Fryer/BrakeThrough Media on Vimeo. 'Tis the season for...Euro holiday cyclocross racing! The races usually start at 8am Central time, and you can find links to live streams at cyclingfans.com. It's a great way to start the day, and great inspiration for those cold blustery winter rides. Yet another total winner from http://bullyottersports.com/. More cameras than you can shake a stick at, including POV from Noah Singer, the A race winner. Check it! 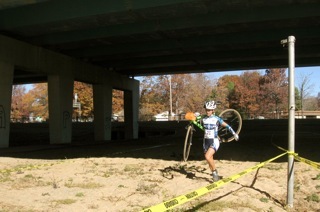 And remember that January 16 brings cyclocross racing back to Little Rock. Be prepared! Keegen, Heather, and I will be giving a skills clinic at 8:30am on the morning of the race. We'll cover the basics of getting on and off the bike, and how to carry it. All skill levels welcome! You don't need a cross bike to race cross. 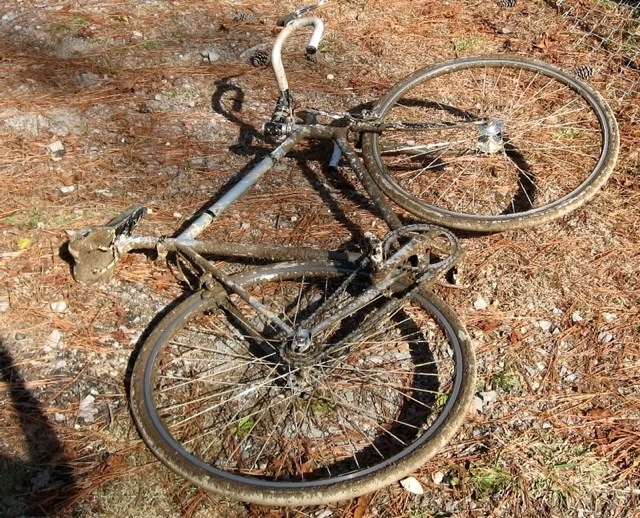 Heather's first cross bike was a vintage Trek mountain bike (aluminum frame, steel fork, purchased in practically unused condition for two bills), and my first cross bike was a Surly Steamroller that managed to fit 32mm file-treads. ...you missed out. Simple as that. 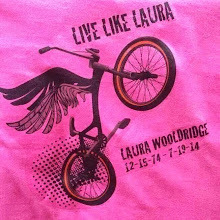 Competitive Cyclist put on a State Championship race worthy of the name. A crowd of racers, family, friends, and curious onlookers enjoyed freshly deep-fried frites (with mayo and ketchup, of course) provided by the race organizers, brats courtesy of The Pantry, and root beer on tap courtesy of Diamond Bear. 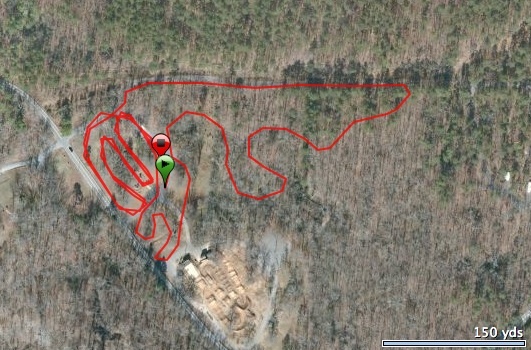 The course was fast but tough, with lots of tight turns, a couple of fun, short, and steep drops, a swoopy groomed section of the Big Ballin' Dirt Track Classic race course, a short trip through the playground woodchips, and the confounding Spiral of Death. The weather, clear and brisk; the atmosphere, congenial. To top it all off, the Men's A race was an epic knock-down-drag-out mano-a-mano battle that people will be talking about for a long time. From the first lap, it was clear that local favorite Noah Singer and Jonesboro's Nate Rice were the class of the field. They were a contrast in styles, with Nate cutting a smooth, classic profile while Noah mashed a big gear and bunnyhopped through the playground woodchips. Nate repeatedly attacked and gapped Noah, only to have Noah fight his way back up to his wheel. Spectators were openly wondering when the string on the yo-yo was going to break, and it certainly looked like Nate had things pretty well wrapped up midway through the last lap. 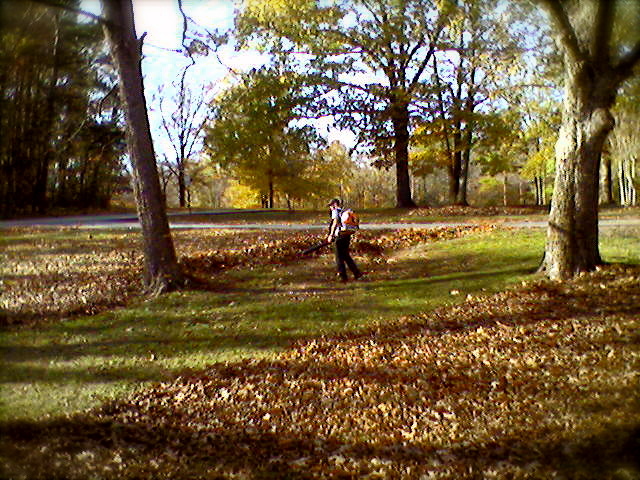 Improbably, Noah started reeling him back in during the final trip through the section of switchbacks on the main lawn. With 300 yards to go, Nate dismounted and portaged through the woodchips, but Noah bunnyhopped through them and immediately pounced on the pedals, barely catching and then nosing ahead of Nate before the final turn. Noah managed to maintain that lead to the finish line as the crowd went nuts. Both guys were absolutely at their limit and put on a great show. There will be more images, both still and moving, landing here in the next few days. Complete results are located HERE. Burns Park: Start/finish and registration are on Arlene Layman, just west of the BMX track. Ryan and Noah from Competitive Cyclist have done a lot of work to put together a great event. The course is fast, challenging, and spectator-friendly, with roughly equal parts grass, dirt, and pavement. There have been a couple choice edits since the course map was drawn up, including the addition of the soon-to-be-world-famous Double Helix. If you've never been out to a cross race, this will be a perfect opportunity to check it out. Last year's race brought people from all over the state, and beyond, and it was a really good times; this year promises to be even better. Sunday's forecast calls for clear skies and light winds. Dress warm. Bully Otter Sports has done it again. Atmospheric video clip of a great day at Kanis Park. Enjoy. 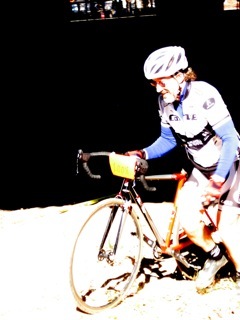 Arkansas Cyclocross Series: Episode 5 from Bully Otter Sports on Vimeo. It will be a great day in North Little Rock this Sunday. Fantastic course with a lot of variety, and if it's anything like last year, there will be plenty of racers from all over the state. Plus frites, mayo, and trombone! Cash payments down to five places in the men's A race, with merchandise primes for all classes. Oh yes. 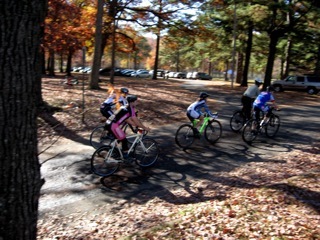 It was a fun day of hard racing at Kanis Park, in the heart of Little Rock. The deafening echo of yelling and cowbells as a pack of harriers made their way through the double-sandpit under the I-630 was...most excellent. 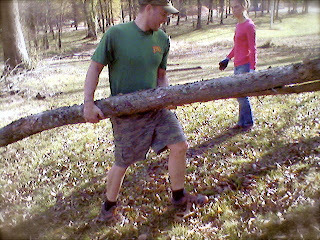 The course was a leg-wrecker. Recovery came in all-too-brief snatches, with the vast majority of time spent on the gas pedal. Ease off, and watch your friend ride away from you. Conditions: Crisp and clear. The recent rains made the grass soft and sticky. A couple of tricky leaf-strewn corners took victims. The course had a little bit of everything, grass, gravel, pavement, some off-camber, some on-camber, and the aforementioned sand-pit that more than made up for the lack of vertical gain. Meanwhile, a motley crew of the fraternal, familial, and merely curious enjoyed the great weather, with pizza and potables provided by Vino's. I managed to grab a couple of frames, but there will be more---still and moving---arriving in the next couple of days. EDIT: My original post didn't give nearly enough credit to Trevor Edwards, who almost singlehandedly envisioned and realized this event. 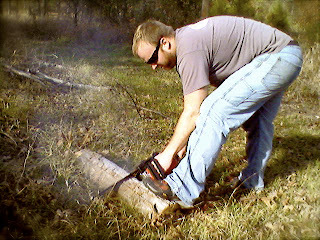 He had a great idea, and made it happen. P.S. Arkansas State Championships are less than a week away. OK so every so often I'll just post a link or vid that I like. No big whoop. Don't forget about the skills clinic that starts at 8:30am. Even experienced racers might learn a trick or two. 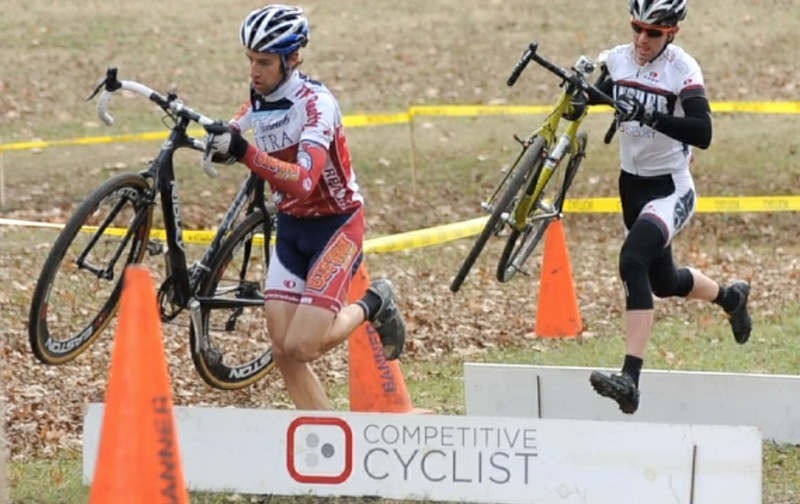 Trevor Edwards of Arkansas Cycling & Fitness is putting on a cyclocross race in the heart of Little Rock on November 28, the Sunday after Thanksgiving. 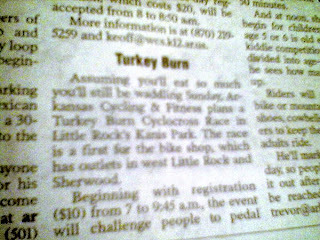 The race is called the Turkey Burn. It takes place in Kanis Park, which is an underappreciated gem of a place. 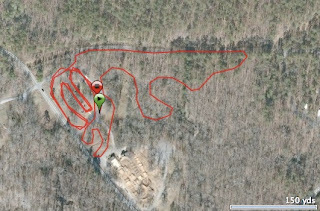 The course is mostly grass, with sections of paved and gravel paths, twisty turny sections through the woods, and two trips through a gnarly sandpit. No serious elevation change, but a true cyclocross circuit with a lot of features to make it interesting and challenging! It's an unsanctioned race, meaning that you don't get any USAC points, but the entry fee is only ten bucks. A perfect opportunity for beginners, and for more experienced racers wanting to put some hurt into the legs and dust off the cross skills exactly one week before the Arkansas State Championship race. In the immortal words of Bamacross impresario Brent Marshall, Get you some! There will be a short pre-race skills clinic put on by Keegen Knapp of Bully Otter Sports, Heather Ladd, and yours truly. It starts at 8:30 and will cover the very basics of dismounts, remounts, and portages. Here are two decent beginner's videos I came across today. The first one is about dismounts and remounts. Great soundtrack. The merits of "stepping through" on the dismount are debatable. I think the section on corning is pretty spot-on. But don't get too caught up in playing games in corners. A great interview with Adam Craig, who bunnyhops barriers, just after the race where Todd Wells stacked. "It's never faster [to bunnyhop a standard barrier set]." "It's all about exit speed, regardless of what the obstacle is, or if it's a corner." Outdoors Inc put on a great event, the 24th annual race, in fact. Great course, great riders, and the crew from Little Rock represented themselves proudly across multiple categories. Video and stills will follow in the next couple of days. On the Sunday after Thanksgiving, you have your choice of Jonesboro or Little Rock. And the following Sunday, December 5, is the Arkansas State Championship at Burns Park in N. Little Rock. This will be a fun one. Heather and I got a chance to preview the course a couple weeks ago, and it's a great location and course. If you're in town, come get some! 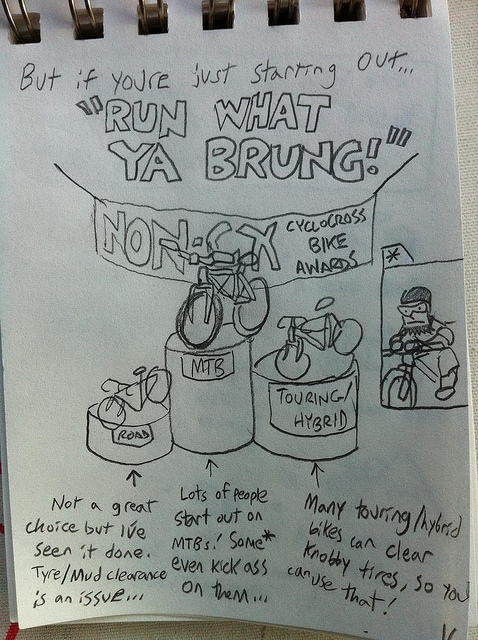 What to Bring – Cyclocross Bike or Mountain Bike; Helmet and Shoes; The Whole Family; Cowbells or Noise Makers for the Kids!!! Ever have the desire to burn off all that turkey we all love so much from Thanksgiving Day? Then join Arkansas Cycling and Fitness for our very first cyclocross race the Sunday after Thanksgiving. Riders of all levels, come have a chance to enjoy riding your cyclosross bike or mountain bike in your local park. Kanis Park is located at the corner of Mississippi and Rodney Parham. The course is mostly flat with a few inclines; all grass except for starting, finishing and sand pit. There will be multiple barrier dismounts and one wicked sand pit. This is a family event, so bring them all—from Grandma to the kids. Noise makers are encouraged for the kids to keep racers motivated. Hope to see everyone there! Looks like there should be some good solid racing in Memphis next weekend. Get you some! Keegen and BullyOtterSports.com come up with the goods again. A fun time was had by all. 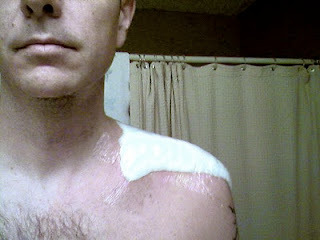 Unless you happened to be at home nursing a broken collarbone. 2010 Arkansas Cyclocross Series Episode 2: Memphis from Keegen Knapp on Vimeo. Man Memphis has a sweet scene, and this course was sweet. My favorite course I've ridden yet. I raced cat 4 and got 7th out of twenty four. 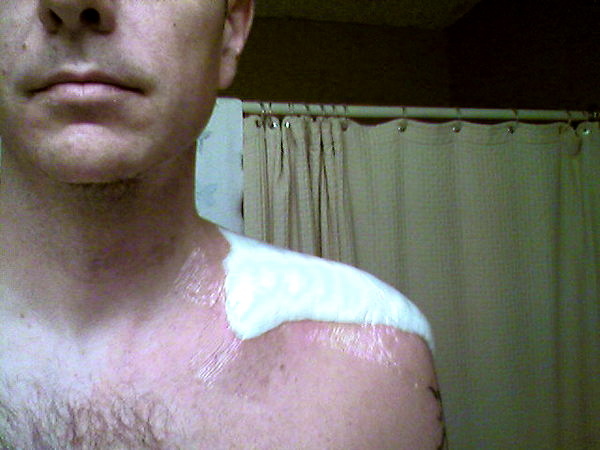 Was sitting better but on a piece of single track I took a downhill too fast into a turn and took out some branches. I lost two spots there with 3 laps to go. Next lap one of the guys that passed me did the same thing at the same spot. Almost beet the other at the staircase finish. This race will be on next years calendar. 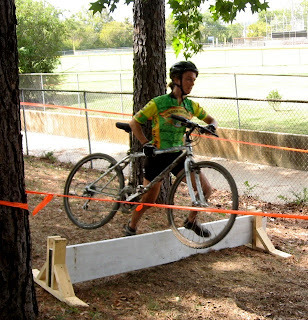 Keegen is a local cyclocross enthusiast who recently launched an online venture called Bully Otter Sports. He went out to Ft Smith and put together a really nice montage of the October 24 races. Modest field sizes, but a lot of power and skill on display. And kudos to Jonathan Sebring for his candor. 2010 Arkansas Cyclocross Series Episode 1: Fort Smith from Keegen Knapp on Vimeo. 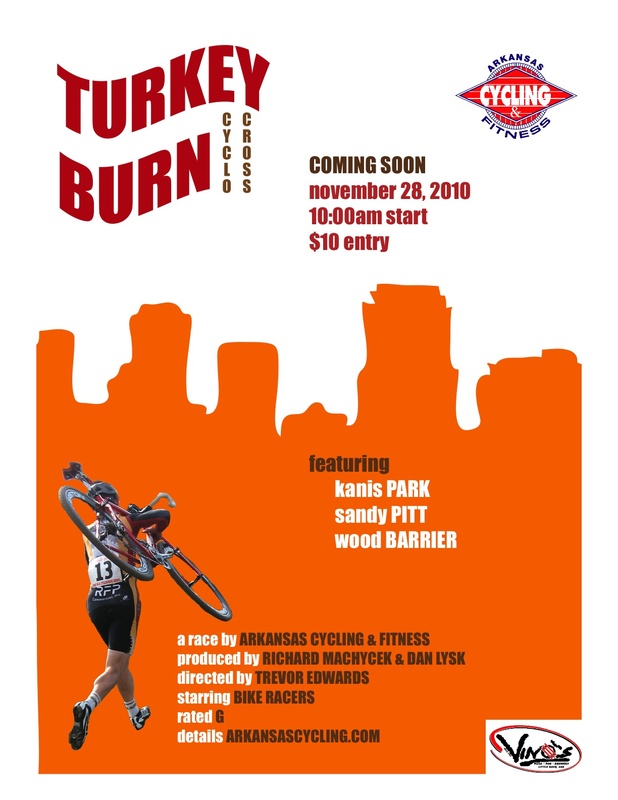 There will be a cyclocross race sponsored by Arkansas Cycling and Fitness November 28, 2010 in Kanis Park at the corner of Rodney Parham and Mississippi Rd. Start times and entry fee to be announced soon. I will have a flyer ready in the next few days. 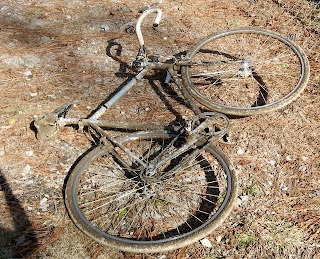 Please spread the word to anyone with a bike that could be ridden in a cross race. Everyone is welcome!!!! We will provide updated info as it becomes available. Time to get your dismount, remount, and portage skeelz in line. Practice makes perfect!